Experiential programs, cultivating the skills and competencies needed to thrive. Format: anywhere from 4 to 21 days. Fully customised programs designed to help organisations move forward. Our programs are a combination of experiential and community-based learning, run in a variety of formats to help you grow personally and professionally. We create a safe space for messy learning - deconstruction for reconstruction, making mistakes to draw learnings, taking steps backwards in order to move forward. 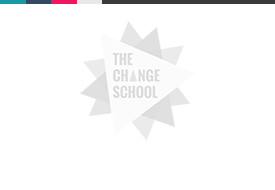 The Change School gives people the tools and resources needed to live life on their own terms. Students see the roller coaster that is the 21st century not as something terrifying, but as something thrilling. We cultivate supportive communities by teaching our students to be confident and self-reliant in their personal missions. Our human-centered approach ensures our programs cater to the personal needs of every student, at every stage of their lives. Our programs are aligned with our core Areas of Focus, to help you realise your intellectual-, emotional-, social- and physical potential. Our process is a tested- and proven system that works. All of our programs follow a 3 step approach to understanding where you are now and where you want to go. Taking time to deconstruct one's self and situation. Uncovering the tools and resources you need in order to move forward. Creating an actionable roadmap to reach your next milestone. Our 3 step process ensures that students leave our programs with the following outcomes. Beyond the program our Alumni continue to make positive changes as shown on our Change Counter. The purpose, cause or belief that inspires you to do what you do. Competence and confidence in leveraging and navigating available tools and resources. Aligned values and choices with an actionable plan to move forward.